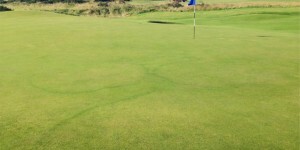 The short grass revealed superficial fairy ring disease. Fungicide was applied to stop this progressing any further. 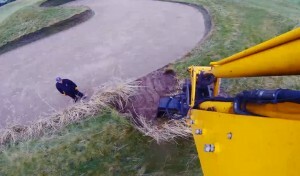 My name is Natasha and I am a Greenkeeper based at the Eden Greenkeeping Centre here at St Andrews Links. I’m currently undertaking an SVQ level 3 in Greenkeeping, part of which requires me to carry out renovation work to fine turf areas. 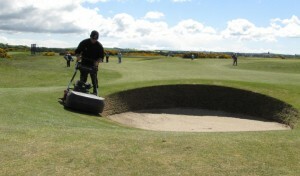 I arranged to carry this out on one of our practice greens at the tournament area of the St Andrews Links Golf Academy. 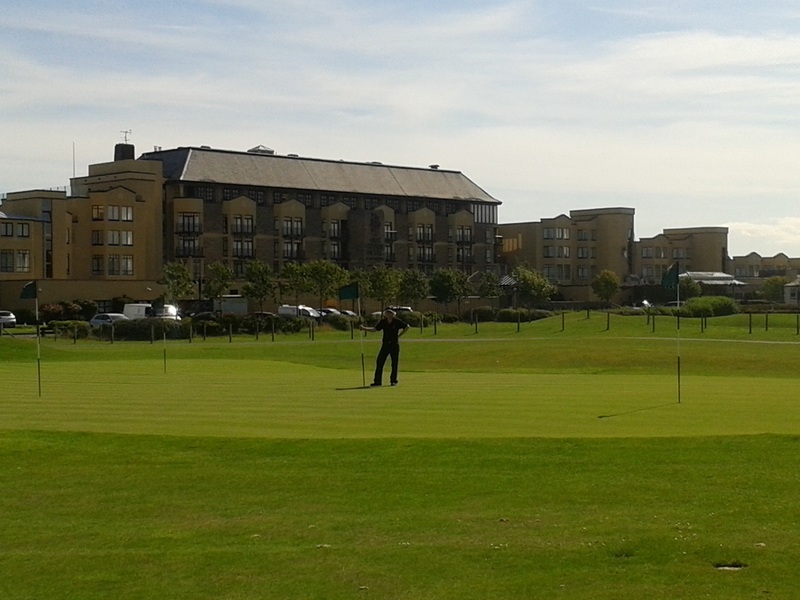 A scoreboard and a large tent was positioned here for the duration of The Open Championship which, once removed, exposed damage to the grass. Firstly we carried out a cut with a rotary mower to create the shape of the original green and prepare it for a cylinder mower to cut down to our greens height of 5mm. 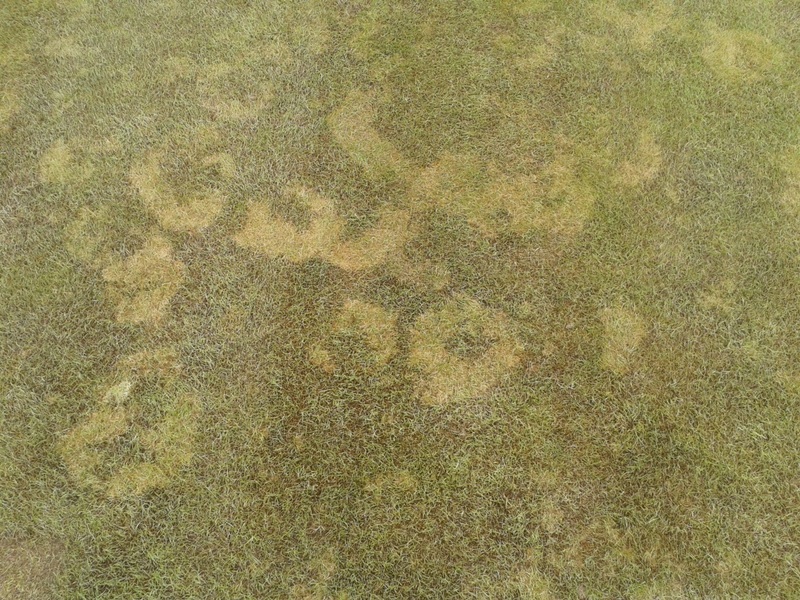 The short grass revealed superficial fairy ring disease. Fungicide was applied to stop this progressing any further. 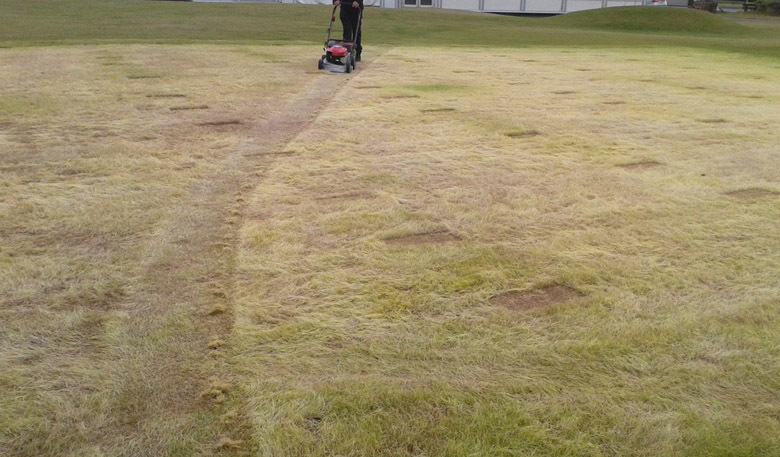 We scarified it a few days later to take all the excessive grass and dead disease away. 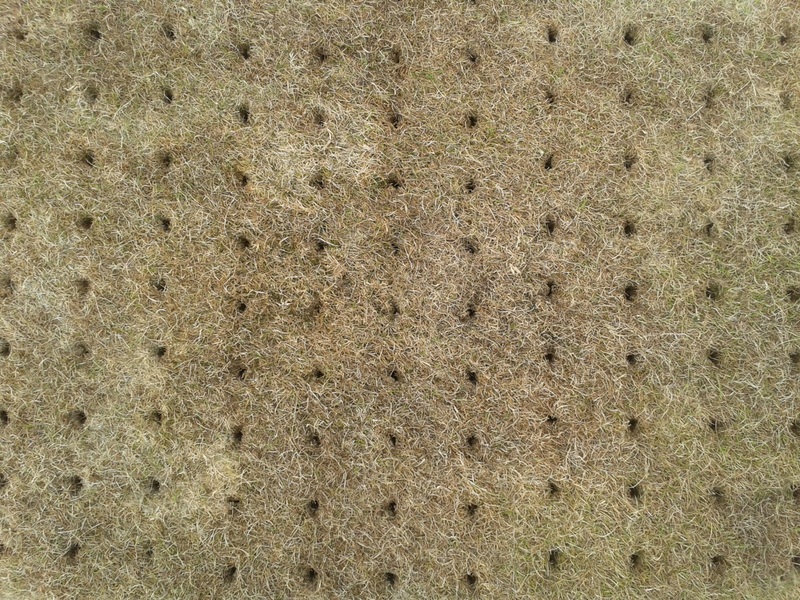 We then aerated the grass with 13mm tines to depth of 10 cm – this lets the plant breathe and alleviates compaction. Heavy top dressing was necessary at this point to fill the aeration holes and smooth the surface. 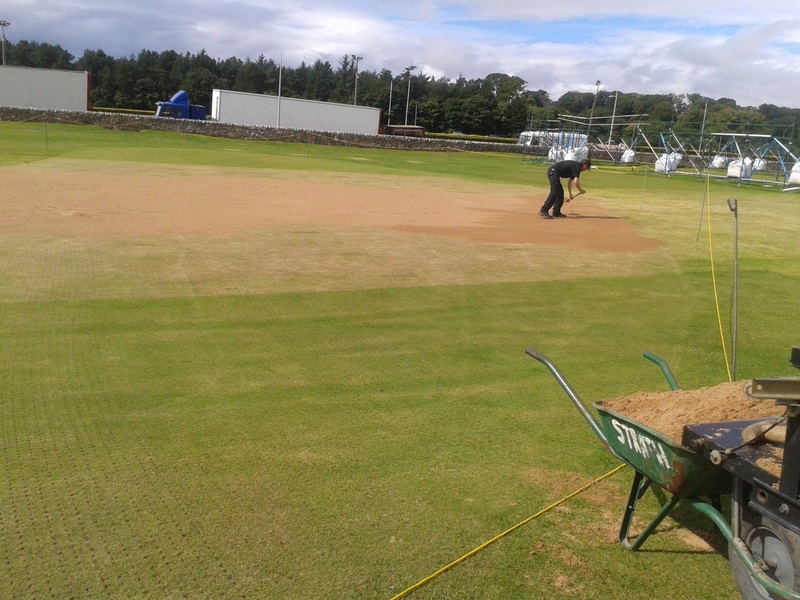 The green was then rolled to help work the top dressing in. 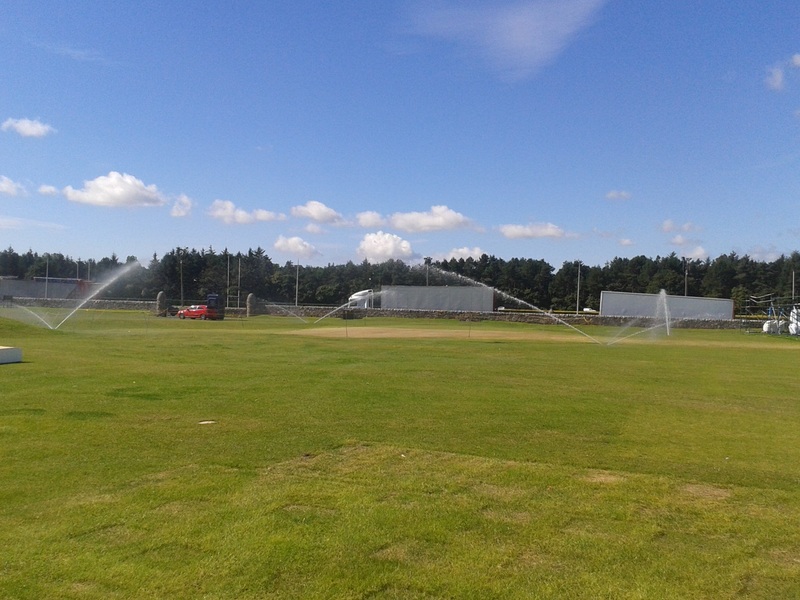 After a few days the green was fed with a granular fertiliser and watered on a regular basis. 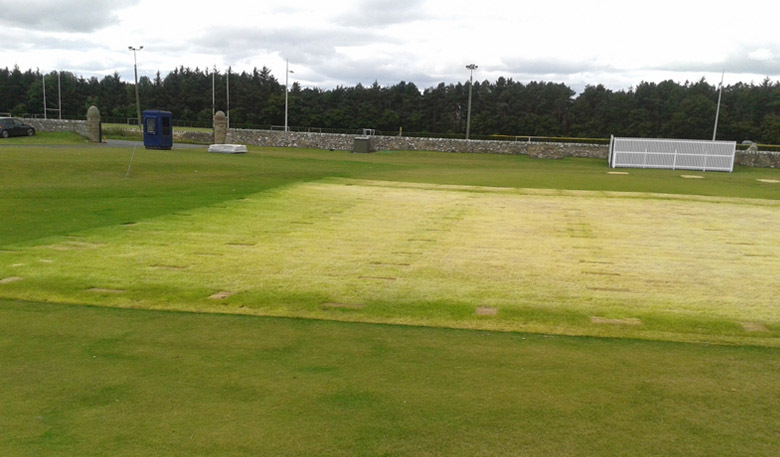 By carrying out the above steps, the green was ready for play after only two weeks!